A community of compassion and hope. The MISS Foundation is an international 501(c)3, volunteer based organization providing C.A.R.E.S. 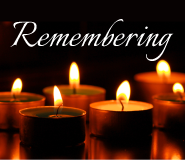 [counseling, advocacy, research, education and support] services to families experiencing the death of a child. A family who recently lost their beloved son, brother and nephew, in the most difficult days after his death, found the Carefarm. 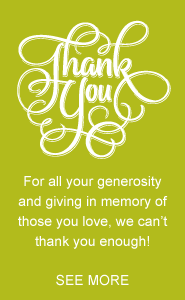 In gratitude for the compassion and kindness they experienced, they created this dedicated fund in memory of Daniel, and have pledged a $75,000 matching donation from the Daniel John Coleman Memorial Fund to help build a family home for those experiencing the enormity of grief. Your tax deductible donation will be matched dollar-for-dollar up to $75,000 until December 31, 2018. Our goal is to raise $150,000 in addition to the nearly $150,000 raised to date. When we reach our goal of $300,000, construction of Selah Family House will begin! Q: What is the Selah House and Carefarm? A: This is a place where families can go to give and receive connection, compassion and understanding. All the animals on the carefarm have been rescued from abuse, neglect and torture. Our grieving families know what it means to suffer, and so do these animals. In addition, we teach mediation, yoga, bibliotherapy, and will soon have a family house where families can come and stay on site. Q: How can I help? A: We need donations to build the family house on the carefarm. We need your help on the carefarm. We need in-kind donations like supplies, landscape materials, tools, animal feed and tack. If you have something to donate or if you’d like to help on the carefarm please contact us at info@missfoundation.org. Read Yahoo’s feature story about the Selah Carefarm here. Q: When do you expect the family house to be completed? A: That depends on the success of this fundraising campaign. Our contractor estimates 9 months once we begin construction. Q: How can I reserve a place and time to come to the Selah Family House? A: Please check back here. As we get closer to completion, we will have an inquiry form posted. You can also follow our MISS Foundation Facebook page. Q: Can I visit the carefarm? A: Carefarm visits are by appointment only. We are not open to the public but we do have work days. If you would like to attend and volunteer at a work day, follow our Selah Carefarm Page here where we will announce upcoming events. We are also on Instagram at Selah_Carefarm! Q: How will my funds be used? A: All funds will be used toward the construction of the family house unless designated otherwise. Q: Is care farming based on any science? A: Yes! Carefarming, as a whole and in its individual components, has been shown to help many vulnerable population groups. Many countries in Europe utilize care farming as a humanistic approach to human suffering in vulnerable groups with tremendous outcomes that reduce harm and help people improve coping. And, care farming costs a fraction of treatment as usual. The average day at a carefarm costs between $60-$150. The cost of treatment as usual in an inpatient setting is about $1000- $1100 a day. Learn more about the scholarly literature here. Q: What is the meaning of Selah? A: The Selah House is named after the Hebrew word selah and after the Selah Grief Model (Cacciatore, 2011), a mindfulness-based framework that recognizes two foci: self and other, the intrapersonal and the interpersonal, in addition to the space between two beings. Selah derives from the Hebrew word celah, often noted in the book of Psalms meaning 1) pause, stay with what you’ve just experienced; 2) reflect, feel deeply what you’ve just experienced; and 3) find meaning, allowing it to unfold in its time without rushing to the next passage. Q: What if I or my business wants to make a very large contribution? Are there naming opportunities? A: For donations of $5,000 or more, please contact MISS Foundation Executive Director Kelli Montgomery, 512-922-3104, kelli.montgomery@missfoundation.org for special dedication requests. Q: How will the Selah Family House work? A: Currently, traumatically bereaved people, most often parents, grandparents, and children, come from around the world to work with Dr. Cacciatore. Right now, our facilities can only hold one family at a time, and suffering families in the local area and also from around the world, must wait until the space opens before they can come to get help. There is often a 6-9 month waiting list. When the family house is completed, Dr. Cacciatore and our team will be able to serve more grieving people. In addition, the carefarm will incorporate more rescue animals, a therapeutic farm-to-table program, and other health enhancing activities that an agrarian environment allows. Q: Though you have a clear, twenty year history of helping people endure traumatic grief, with your current plans, how will you know if the carefarm is helping people in the long term? A: This is an excellent question. We are fortunate to have already begun to build our core research team with some of the top scholars in their field, including Dr. Joanne Cacciatore, Dr. Rich Gorman, Dr. Jen Huberty, Kara Thieleman and Dr. Trish Wonch-Hill. This means that we will collect data and longitudinally interview those who have been through our programs. We will be publishing those data in order to encourage more NGOs and agencies seeking to help others learn about care farming. We are also advancing a training program for providers who may want to begin their own carefarm in their communities. Q: Is the Selah House green and sustainable? A: Yes. We commit to environmental health, social and economic equity, animal welfare, and overall consciousness raising in our therapeutic community. Q: What model or framework is going to guide the Selah House? 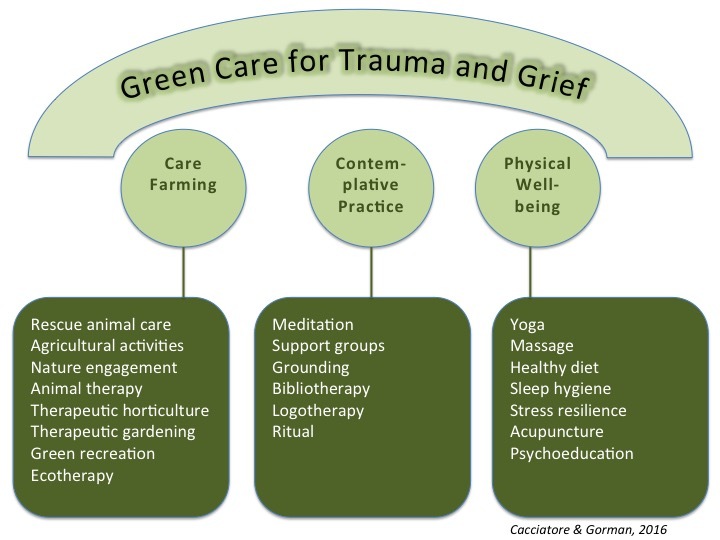 A: The model (Cacciatore & Gorman, 2016) is based on current carefarming practices, research in therapeutic spaces, and 20 years of experience working with traumatized people from around the world. A: We need donations to build the respite center on the carefarm. We need your help on the carefarm. We need in-kind donations like supplies, landscape materials, tools, animal feed and tack. If you have something to donate or if you’d like to help on the carefarm please contact us at info@missfoundation.org. Read Yahoo’s feature story about the Selah Carefarm here. Q: When do you expect the respite center to be completed? Q: How can I reserve a place and time to come to the Selah House? A: All funds will be used toward the construction of the respite center unless designated otherwise. A: Yes! Care farming, as a whole and in its individual components, has been shown to help many vulnerable population groups. Many countries in Europe utilize care farming as a humanistic approach to human suffering in vulnerable groups with tremendous outcomes that reduce harm and help people improve coping. And, care farming costs a fraction of treatment as usual. The average day at a carefarm costs between $60-$150. The cost of treatment as usual in an inpatient setting is about $1000- $1100 a day. Learn more about the scholarly literature here. Q: What is the Selah House Carefarm? A: This is a place where families can go to give and receive connection, compassion and understanding. All the animals on the carefarm have been rescued from abuse, neglect and torture. Our grieving families know what it means to suffer, and so do these animals. In addition, we teach mediation, yoga, bibliotherapy, and will soon have a respite center where families can come and stay on site. Sign up for our eNews and get the latest info right in your inbox! I give MISS Foundation permission to collect and use my data submitted in this form. After you click the “Subscribe” button above, this form will close for security purposes, and we’ll send you a quick confirmation email to the address you provided. Just click the “confirm” button in that email, and we’ll add you right to our list. Thanks!